#SugarFreeSeptember || Day 2 - CounterCultural. CounterCouture. So day two of #SugarFreeSeptember has been and gone. I feel today has mostly gone well, apart form this evening but that was for Mum’s birthday. So here goes my lowdown of today’s sugar free menu. This morning I left the weetabix on the shelf in search of something slightly more health friendly. My milkshake was replaced with almond milk, still with the vanilla protein powder. I loved the nutty taste to it but my mug was too big and I eventually found it somewhat overpowering. 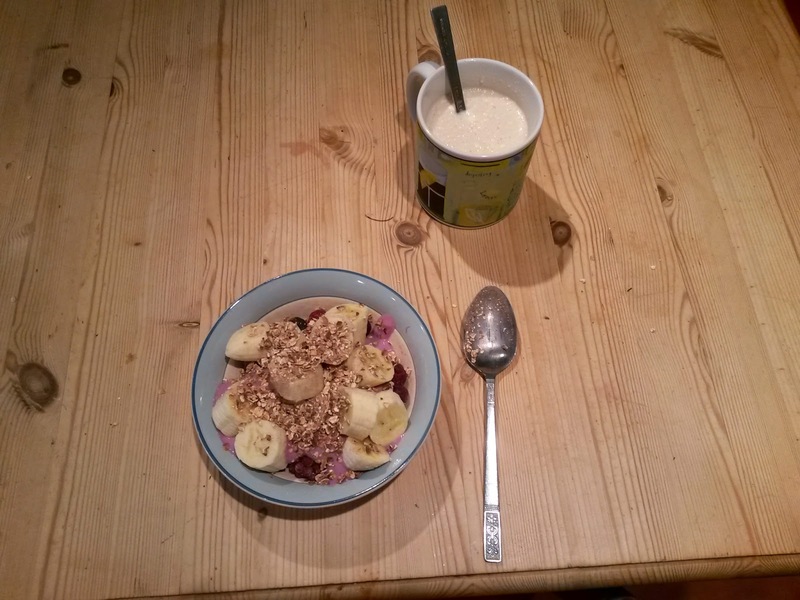 In the bowl we had a blackforest fruit mix, banana, toasted oats and soya yogurt. A little different to normal but definitely tasty. It kept me going for about three hours, so tomorrow when I have 5-6 hours between breakfast and lunch could be interesting. Slightly burnt toasty cinnamon oats… Voila! Lunch was an incredibly tasty affair, half planned and half a case of freezer diving. 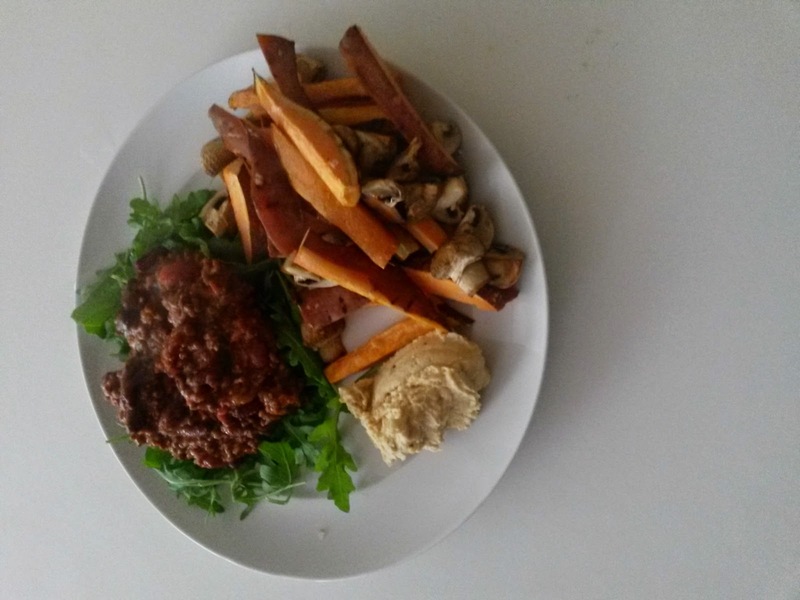 On the plate we have roasted sweet potato chips and mushrroms (in frylight), chilli on a bed of rocket and homemade houmous. Plenty of veg and protein meant that it kept me properly full for a good while… try until 7pm? The only problem was too much salt, which made me slightly uncomfortable and bloated. But it’s something for me to learn from. And if you’re a fan of houmous, try making it yourself! So easy! Blend it all together to the consistency you want. Add each ingredient until you reach your desired consistency and taste. But it is so worth it! As it was Mum’s birthday today, we decided to spoil her with a fantastic meal at the local gastro pub. Talk about tasty! I will admit I tried Steff’s battered pollock and chips but my own meal was mostly definitely the best. Ox cheek slow cooked in gravy, celeriac puree, roasted shallots and vegetables made for the tastiest pub meal I have ever had and it all came in with the week 1 shopping list. However, I did have several glasses of red wine, an amaretto coffee and Mum’s shortbread from her dessert (smug moment for not having my own). So I feel I did really well there for a birthday meal out to not cave to sugar on my usual scale. So that’s day two over and done with. 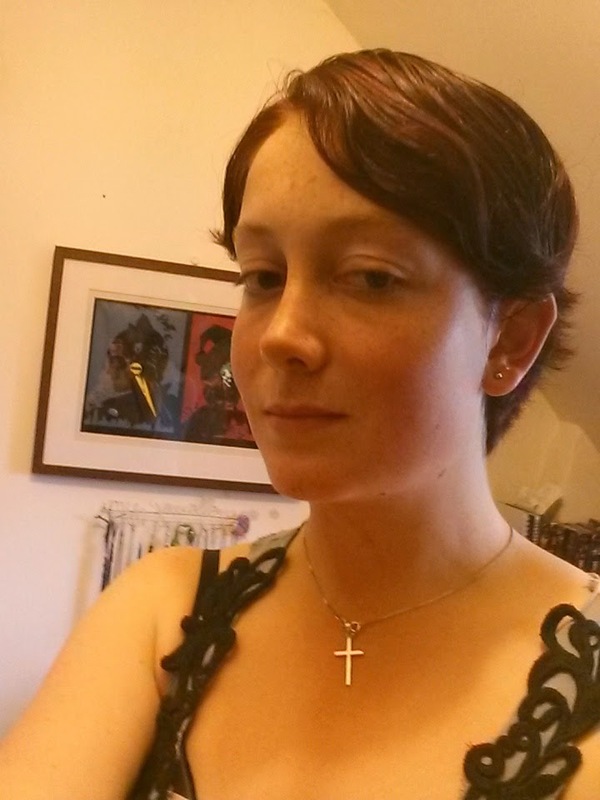 Just one more surprise… I’m now a redhead. Tell me what you think!